The key is a solid PermaTill-VoleBloc Barrier between the roots and the voles. VoleBloc is not a repellant or bait. It is a physical barrier system that protects bulbs and roots without restricting growth. The VoleBloc Barrier dramatically reduces vole damage while adding permanent aeration, improved drainage, and nutrient holding capacity to soils. We are talking about VOLES. Not moles. Are your plants leaning or falling over because roots are being gnawed? Or are they mysteriously disappearing? 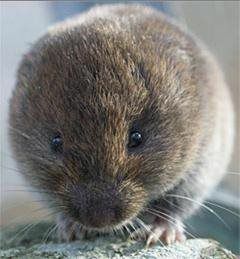 If so, you may have voles. The pine vole, (Microtus pinetorum) is becoming a bigger problem in the landscape as increased development reduces their natural habitat and they become more adapted to our backyards. To read more about pine voles go to “More on Voles”. To see additional photos of voles and vole damage to plants go to the vole section of our projects. The PermaTill-VoleBloc Barrier works because voles do not dig through materials that are coarse in texture. That is why you’ll find that vole burrows and tunnels are shallow and typically occur under mulches, raised beds, new sod, and abandoned mole tunnels. Because it is PermaTill, the Barrier stores air, moisture and soluble nutrients for the roots and bulbs it protects. 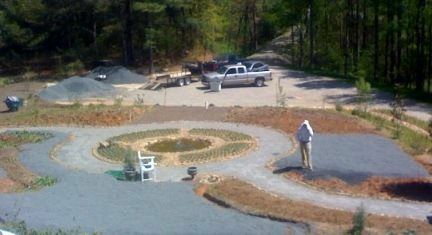 The VoleBloc Barrier is permanent, non-toxic, and safe for use anywhere in the landscape. The Barrier system can be installed at time of planting, or around existing plants. Dig a 'moat' around the plant just outside of the drip zone. The moat should be 10'-12" deep, and 3"-4" wide. Fill the moat with 100% PermaTill-VoleBloc to the soil surface and add a 1"-2" layer of PermaTill as a mulch from the plant stems to the moat perimeter. 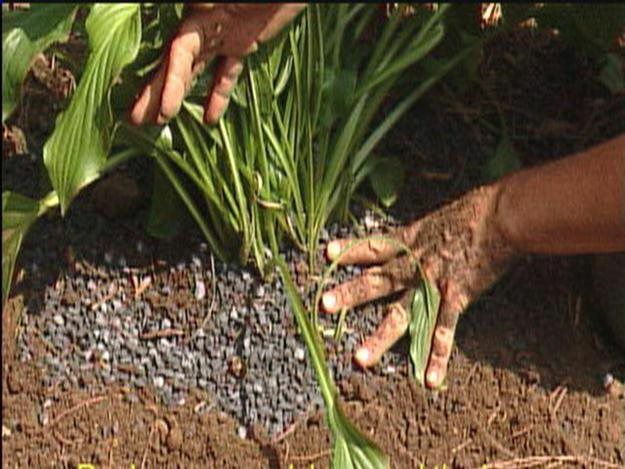 Don’t forget to mulch the soil surface around the stems with VoleBloc after installing the root barrier. Voles are persistent and will dig into the roots from the surface. This practice will not only discourage voles, but will reduce soil borne diseases on stems and foliage. Also, slugs do not like to crawl on PermaTill-VoleBloc. Calculate annual bed area: length x width x desired depth for the total volume of soil to be amended for vole control. Multiply that number by .5 (1/2) to get the total volume of PermaTill needed. 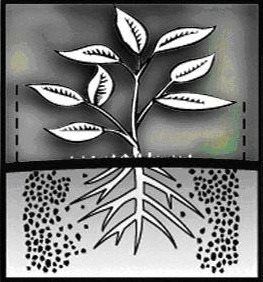 Example: For root depth of 8-10" - spread 4-5" of PermaTill on the surface and thoroughly till into the soil. PermaTill VoleBloc particles will not float to the surface or degrade over time. Only one application needed for season to season year after year protection.